The EGGO Gas Card program ran at Ahold Stores (Stop & Shop, Giant Carlisle, and Giant Landover). 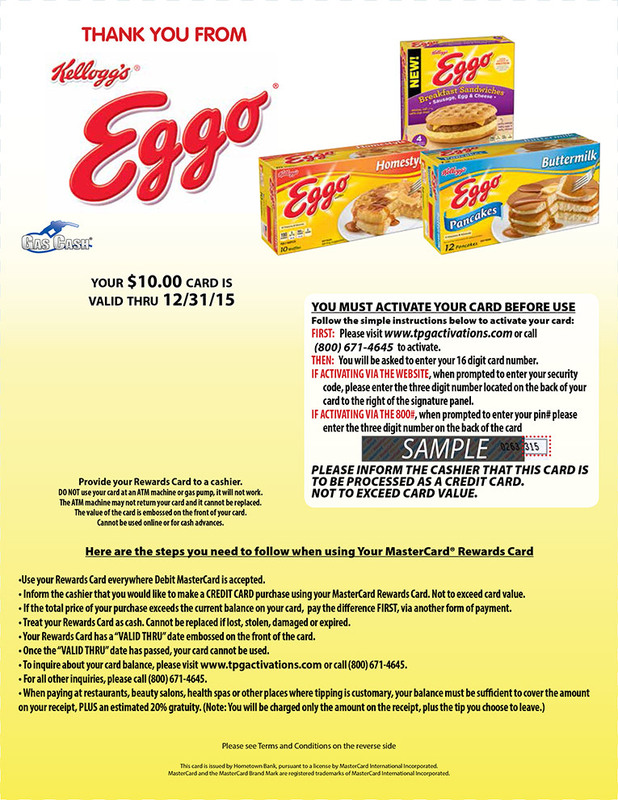 Consumers were required to purchase $25 worth of EGGO products between 6/19/15 – 7/16/15, either in a single transaction, or at various times during the time frame. redeemed at any gas station in the US that accepts credit and debit cards.